The Brazilian legend attacking midfielder was named the 2004-05 FIFA World Player of the Year. He played for FC Barcelona from 2003 to 2008 and scored 94 goals in 207 appearances. 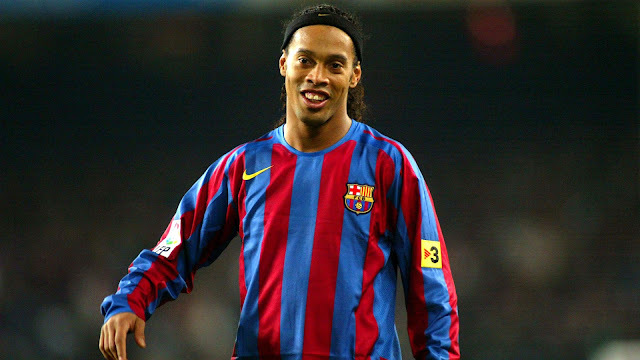 Ronaldinho was born on March 21, 1980 in Rio Grande Do Sul, Brazil.